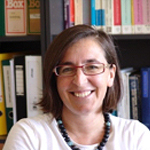 Dr Konstantina (Dina) Mergia is Senior Researcher at the National Centre for Scientific Research “Demokritos”. She is currently responsible for the Fusion Technology Program of the Hellenic Republic participationto the EUROusionconsortium. She has been the Principal Investigator/Scientific Responsible – Coordinator in several European projects related to materials for aerospace and extreme environmentapplications and in research projects and technology tasks of the European Fusion Program. She has represented Greece to European Committees and Advisory Bodies. Her research refers to materials at extreme environments (aerospace and energy systems), nanomaterials, radiation damage, phase transformations and transport phenomena, ceramic-metal interactions and joining, surface phenomena and oxidation, material engineering and magnetic materials. She has published over 100 papers in peer-reviewed journals and international conference proceedings, she has given invited talks to conferences, Universities and Research Centres and she is a referee to Scientific journals. One of the key technologies of today’s aerospace applications refers to the effective protection of components subject to large heat loads like the heat shields of re-entry vehicles or the inner walls of combustion chambers. This issue is of great importance for future missions where considerably increased energy densities are expected. Two thermal protection systems, developed through the European projects SMARTEES and HYDRA are presented. The systems developed were tested under field relevant conditions and their performance was validated against requirements set by the selected flight missions. The first one refers to a re-usable thermal shield based on a multi-layered concept comprising advanced ceramic matrix composite material, insulated SiC foam and on top multi-layered ceramics based on SiC/ZrB2 with tunable functionality in terms of oxidation resistance and service temperature. The second one refers to a hybrid system based on a layered structure consisting of ablative materials and ceramic matrix composites. Its prospective advantage arises from the employment of a thinner, than usual, ablative layer able to withstand very high surface heat loads while the tough ceramic composite underneath provides structural support, resulting to the enhancement of the aerodynamic performance of the re-entry capsule. Since heat loads during re-entry are characterized by a heat flux peak profile a thinner ablator can dissipate the high heat loads during the peaking time while the underlying ceramic composite can withstand higher temperatures without sacrificing structural support.